Whey, casein, egg and beef are your basic animal-based protein powder sources. The protein powders that are plant-based are from soy, hemp, pea/rice and soy-free blends. There are also blended proteins that utilize a few different proteins and their digestion rates. In part one of this series I covered the milk proteins Whey and Casein. 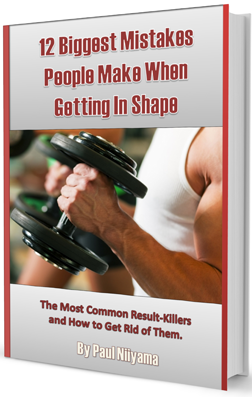 Whey is the most popular protein powder based on the amount of whey products out there. Whey is the quickest absorbing protein powder and casein is the slowest absorbing powder. In this part I’ll cover the 4 more protein powder types. Two are from animal source and two from plant sources.The digestion rates of these powders will fall somewhere between the two milk protein powders. Since I have mainly stuck with whey and casein products for my own protein supplementation, my recommendation in this part will not take my own taste experiences into account since I don’t have any. Taste is very low on my list of priorities anyway when choosing a nutritional product. I will mention the assessment of other people if a product has a lot of negative feedback about the taste though. I will base my recommendations mainly on the ingredients and nutritional information. I will also look at cost and will recommend the less expensive product over a more expensive one if their nutritional information is very similar. The first protein up is egg protein powder. Eggs are known to have a very high biological level and this means that more of it is able to be digested and utilized by the body. Egg whites provide some great protein that is virtually carb and fat free. Since it is from an animal source it also means you are getting a complete protein. You can get all this nutrition from real liquid egg whites that they sell in cartons, but the benefit that the powder provides is the convenience. The convenience you are buying comes in the form of portability and prep time. Mixing up a shake is usually a lot quicker than cooking up a batch of egg whites. Real egg whites will also need refrigeration so they can’t go everywhere with you. Egg protein powder is like a normal protein powder so you can bring it in a shaker cup and mix it up wherever you want. Since egg protein is more expensive per serving than whey or casein so I would opt for those before I switched to egg. If you have a lactose allergy than you may need to avoid the milk protein powders so egg protein may be one of the powders you can try. There are some people who just don’t like the milky taste of whey so if you fall into that category then egg protein may be an option for you. When looking for a good egg protein there are a lot less products out there to choose from. The good thing is that most of these products are pretty good and not a lot with extra sugars or fats. There is no one product that stands out to me as the best though. All seem to have some issues but I will cover a few of the products that I would use if I were going to use an egg protein. In my opinion the best egg protein is NOW: Eggwhite Protein. They have natural, chocolate and vanilla flavors. The chocolate and vanilla both use Xylitol and Stevia as their sweeteners. Both do not raise insulin levels very much and are supposed to be “safe.” I do consume foods with artificial sweeteners but try to avoid them if possible and for that reason I would opt for the natural flavor. The natural flavor has one ingredient and that is egg white powder. That’s all it lists. In my opinion the fewer ingredients the better and this product gets my thumbs up. The label says “Contains No Sugar, Salt, Starch, Yeast, Wheat, Gluten, Corn, Soy, Milk, Shellfish Or Preservatives” so this is a good option for a person with allergies. Where this product falls short is in the review that I have seen about it’s flavor. A lot of people can’t get over the initial smell and when it’s a plain product there is nothing there to mask it. I have also read that people are not fond of its mix-ability so that would be a definite negative if you are using a shaker cup for this. If you can get past the flavor it does offer 16 grams of protein per scoop, which is a little low, but a nice 85% of its calories come from protein. There is also no fat and less than a gram of carbs for the natural flavor. Since there are so few products out there, that is really the only one I would recommend. There were not any products out there that I saw that were really bad so no matter which one you chose you won’t be getting a lot of extra fat or carb calories. Most flavored products do use artificial sweeteners though and some have ingredients like silicone dioxide, which is pretty much sand. Soy lechtin is also a common ingredient in a lot of powders that is used to prevent clumping of the powder. Pure beef is a great source of protein. It is a complete source of protein and contains some creatine which is great for building muscle. It seems natural that someone would powder beef and make it into a supplement. Although it is not the most popular protein powder there are a few products out there that sell pretty well and look decent as far as their nutritional information goes. Like egg protein powder, the main thing you get from opting for the powder is convenience. Although real beef is a great protein source, it is much quicker to mix a shake then it is to grill up a steak. It is also much quicker to drink a shake then it is to eat a whole steak. Beef has a good anabolic (muscle building) amino profile. Most of the powders add additional aminos to their mix to help optimize the nitrogen balance of the body. If the body gets too much protein it can create harmful waste products that can have a negative effect on muscle growth. Having a good nitrogen balance means your body is using its protein for muscle growth. Many bodybuilders will eat 2-3 pounds of meat per day when bulking and a lot of that can come from beef. That may seem like a lot of food for people so having the benefits of beef in a powder can allow them to get more of the beef protein into their diets without getting as full or having digestive issues from all that meat. Many of the other benefits of beef protein powder will be the same as the benefits of egg protein powder. There is no lactose, so it is another option if you aren’t able to do whey or casein. Beef protein will also give you a higher biological value than normal beef meaning your body can utilize the powder better than it will with real beef. Many of the reviews I have seen are negative regarding the taste, but again it is an individual thing and it may be something your taste buds enjoy. The other thing I read was the foam that accumulates on the top when mixing it. It’s not necessarily a negative, but just something to be aware of. As with the egg powders, there are not a lot of beef protein powder products out there. The cost for beef protein can range depending on which brand you chose, but cost does not always equal quality. The sweeteners for this are sucralose and stevia. It did have one red flag on the ingredient list. Silicon dioxide; and as I mentioned before this is like sand from the beach. If you can get past that, it does offer 24 grams of protein at a pretty decent price. They also added in some creatine and BCAAs. The label does not say exactly how much creatine or BCAAs were added though so it may or may not even be a factor for strength or muscle recovery. The other product that stood out was Olympian Labs: Beef Protein. This one looks OK on the nutritional label but their ingredient list may be incomplete. The label indicates that 84% of its calories are from protein which is about 23 grams per serving. The big question mark I have with this product is in its ingredient list. There are only 4 ingredients listed. Beef protein, dark chocolate powder, white chocolate powder and Reb-A, which is from stevia. There is no information on what is in the chocolate powders or if they are pure cocoa. There is not a lot of carbs or fat listed in the nutritional info so I am assuming there are not a lot of fillers in it, but I cannot be 100% sure. So I give this product a recommendation with a question mark. Soy offers a complete protein with a pretty quick digestion rate and good biological value; however I cannot recommend any soy-based protein powders. There are just so many risk factors associated with soy, plus there are other sources of protein out there, even for vegans. The first thing that really got me into my anti-soy stance was the presence of phytoestrogens which mimic the hormone estrogen in the human body. This has been linked to infertility as well as breast cancer for women. There have been studies that show these phytoestrogen raise estrogen activity and other studies that show that it decreases it. Since a lot of the evidence on what these phytoestrogens actually do is inconclusive it is something that I would want to mess with and why I avoid soy. In doing further research on soy, the phytoestrogens are just the tip of the iceberg. Soy contains toxins known as anti-nutrients that interfere with your body’s ability to absorb nutrients. It even can even disrupt your ability to absorb protein. Yes, so for all the protein that soy contains, your body may not be able to use it all. While a small amount of anti-nutrients would not likely lead to a problem, if you are using soy as your primary source of protein these anti-nutrients may be ingested in high levels which can cause a problem. Soy has also been linked to thyroid problems. Soy contains a substance called goitrogens. These goitrogens interfere with the body’s use of iodine and can cause an enlarged thyroid and abnormal thyroid function. While there are many other issues with soy, the last one I’ll talk about is the problems with the GMO soy. More than 90% of the soy grown in the US is genetically modified. It was done to resist pesticides to produce a more efficient crop. Organic means no pesticides were used, not that the non-GMO crop was used. The GMO crop has been linked to infant mortality and infertility in hamsters and mice, which could produce similar effects in humans. The GMO soy has also been linked to an increase in allergies. The harmful effects of soy is reduced after a fermentation process so organic fermented soy products like soy sauce and miso are not linked to the many issues of soy. Unfortunately many of the popular soy products like soybean oil, tofu soymilk and edamame do not undergo this fermentation process. Soy protein powder is also not fermented and because of that there are no soy protein powders or unfermented soy products that I can recommend. There are some powders that have a good nutritional profile but with the problems of soy it would make sense to avoid them and opt for another type of protein powder. A good soy protein alternative for vegans is hemp protein. Hemp is considered a complete protein since it contains all essential amino acids (although it is low in Lysine, which can’t be synthesized in the body.) It’s amino profile is very similar to soy but it does not have the negative effects that soy brings. Soy actually has a higher total protein content but hemp does not contain anti-nutrients so more of the protein in hemp is being utilized by the body. This makes hemp have the highest net protein content of all plant-based proteins. Most hemp products are non-GMO and are organic so there aren’t a lot of chemicals to worry about. Another benefit from hemp is the Omega-3 fatty acids that hemp contains. Hemp is a actually the only protein that contains Omega-3s. Hemp comes from the same plant family as cannabis, but there are not high levels of THC in hemp so there won’t be any performance decreasing side effects from it. Hemp protein is made up of two types of protein. 65% of the protein is from Edestin and 35% of the protein is from Albumin. Edestin protein is similar to the protein found in human blood and is highly digestible so there are no known food allergies to hemp. Edestin helps to produce antibodies that help with the immune system. Albumin protein is very similar to the protein found in egg whites. Like Edestin, Albumin is a high quality protein and is used as the baseline to measure the effectiveness of a protein. Hemp protein also contains a lot of carbohydrates. This can be a negative if you are following a low-carb nutrition plan, but because it also has a lot of fiber the net carbs for hemp is low. 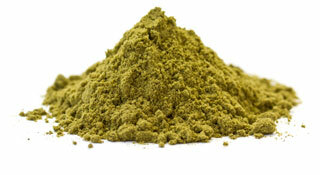 The other drawback of hemp protein is there is not as much protein per serving. The presence of the high carbs also means that the percent of calories from protein is a lot less than some of the animal-based protein sources. There are some exceptions but most hemp powders have around half of their calories coming from protein. As a comparison the percent of calories from protein for a whey was usually around 70 or 80%. Although there are not a lot of hemp products to choose from most look pretty decent so it’s easier to find a good one compared to whey where there are literally hundreds of choices. My recommendation is for one with the best ingredient list I’ve seen. Actually many of the hemp products have a good ingredient list. Most have only ONE ingredient; Organic Hemp Protein. Each serving has 90 calories and 15 grams of protein. This seems pretty low for a protein powder but this product it is higher than most hemp powders and 67% of it’s calories come from protein. That is the highest percent of all the hemp powders that I reviewed. In the next part, I will be wrapping up this 3-part series. I will cover pea protein, which is another soy alternative, then I will cover blended proteins which combine a few different types of proteins with different amino profiles and digestion rates. What is your favorite type of protein? You can leave a comment below or on our facebook page. Please share this article if you think it can help someone you know. Thanks for reading.